Many families have family meals and fun family nights to build those strong relationships and make memories. Some have family game nights or movie nights. Your family might cook together or enjoy playing basketball together. Those are all wonderful ideas to keep a family close and connected. Have you ever thought of adding a family activity that keeps your family close and helps others at the same time? 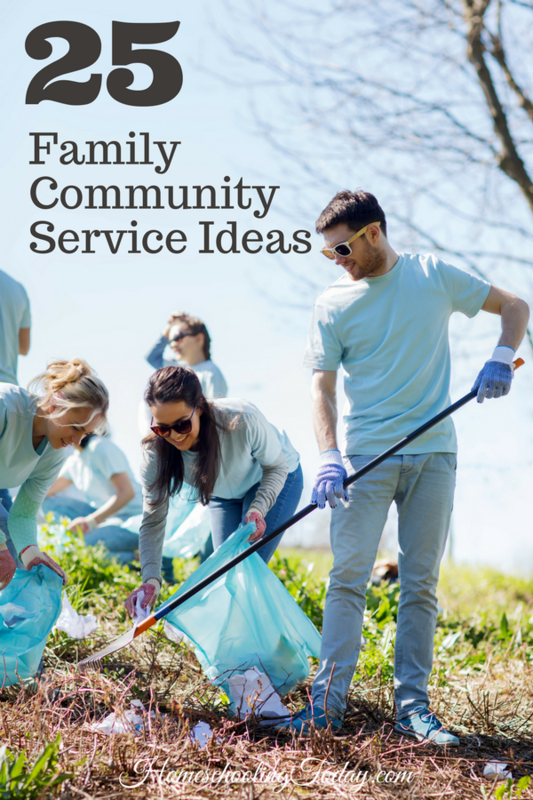 There are so many community service and volunteer opportunities that families can get involved in. You can do something good for others, teach your kids how to serve, and have a fun family experience at the same time. 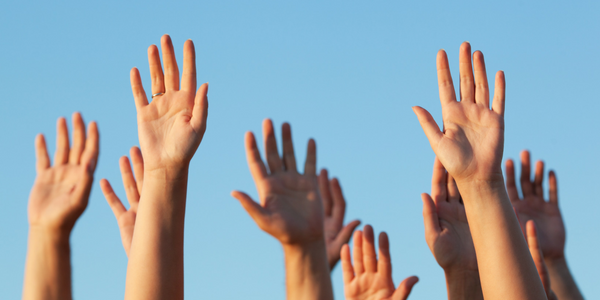 Here are some community service ideas to get you started. Check out similar opportunities where you live. Keep track of those community service hours and place them in your children’s records. They look great to colleges and internships they may apply to. 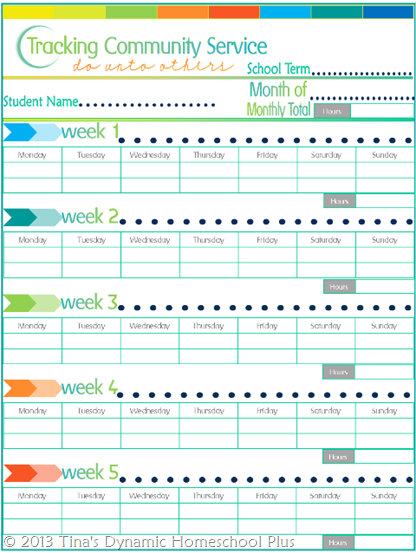 Use this awesome Tracking Community Service printable from Tina’s Dynamic Homeschool Plus. 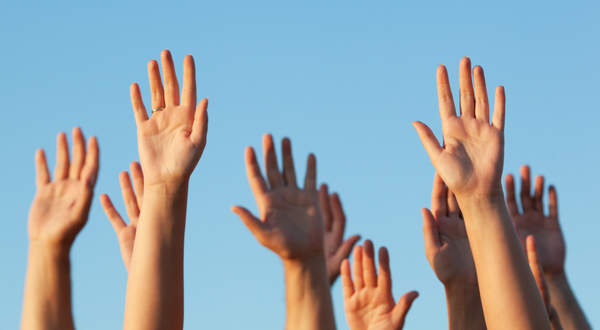 Has you family participated in any community service or volunteer programs in the past? Share your ideas with us! You might also like these posts from Homeschooling Today.